Celebs on the Ranch is coming to 5STAR! Somewhere in Arizona, a ranch is about to be swarmed by a handful of some of the biggest reality stars, in 5STAR’s brand new show, Celebs on the Ranch, and Pink Casino are official sponsors! Hold onto your cowboy hats and tune in to 5STAR on the 1st of April, to watch your favourite TV stars give up their extravagant lifestyles and take up their duties on an out-back ranch, deep in the American plains. With 50,000 acres of land in the middle of nowhere, how will our favourite reality stars cope with their new ranch duties? Will they flourish and find their way as they navigate their way through rural American country life, or will they struggle under the pressure of an average day on the ranch? This series is set to shock, as some of the star-studded contestants everyday lifestyles are millions of miles away from ranch work. With luxurious Made in Chelsea stars, Mark Francis and Victoria Baker-Harber in the line-up, how will they fare? They may be used to riding horses, with Mark being heir to Russian Royalty, but is moving around manure, shifting bales of hay and being hours away from the nearest town enough to crack the frivolous pair? But, the posh pair aren’t the only duo that are set to kiss their blinged up lifestyles goodbye to get down and dirty in America’s Wild West, as this series follows the ranch journey of another 8 contestants. Including lothario, Eyal Booker, who found fame whilst looking for love in last season’s Love Island, alongside fellow contestant Georgia Steel, who seems to be trading villa life for cowgirl duties instead! Keep an eye out for Towie Titan Bobby Norris too, as the Only Way is Essex star may be used to dishing the dirt, but how will he cope shovelling it? With comedian, Stephen Bailey taking the reigns and presenting the show, viewers are set for a whole barrel of laughs from the get-go! Whilst Stephen is off screen, we’re sure the ever entertaining choreographer contestant, Louie Spence, is enough to keep viewers entertained, judging by his previous performance on Celebs on the Farm. Will Louie waltz his way through the pressures of everyday Ranch life? Or will the no-nonsense ranchers decide his diva dance moves belong elsewhere! The Celebs on the Ranch contestants are judged on their individual performances by a true-life rancher and will vote out a celeb, based on who they think won’t be able to make it through the ranch. Under the strict supervision of the Head Rancher, the celebs learn the pressures of managing a ranch. With tending to horses, learning to lasso and branding the cattle all on the agenda, this series is set to be a hilariously exciting new addition to 5STAR! Be sure to tune in week by week to see how the celebs thrown in at the deep end are coping with Ranch life. 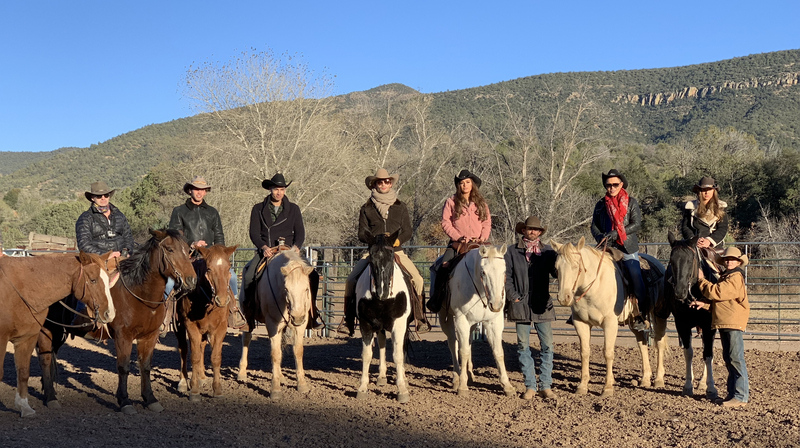 If you’ve spent 2019 hooked on reality TV, with the Love Island drama unfolding across Dancing on Ice, or you’re looking to fill the reality-shaped hole in your heart now The Bachelor is finished, Celebs on The Ranch offers 5STAR viewers just that! Saddle up on your sofas on Monday the 1st of April and tune in to 5STAR to watch the drama unfold as reality stars transform into ranch rangers! Pink Casino is one of the UK’s leading casino brands, offering an unrivalled online casino experience to its expanding community of players. With a glossary of over 400 online slots, updated almost weekly, there’s an exceptional variety of all types of online slots to suit Pink Casino’s player preferences. Home to some of the most popular slots withstanding the test of time, such as the infamous titles, Starburst and Cleopatra, both modern and traditional casino games alike are amongst Pink Casino’s impressive slot catalog. As well as delivering a growing variety of slots by regularly working with leading casino developers whilst providing a safe, responsible gambling environment, Pink Casino also specialises in Live Casino, Bingo and more. The successful growth of Pink Casino’s community can be relayed back to tactical marketing strategies, including several high profile sponsorships that have helped gain Pink Casino exposure across other marketing channels, such as TV. With a more notable example being Pink Casino’s latest sponsorship deal with 5STAR, operating television bumpers for hit TV shows such as The Bachelor and Celebs on The Ranch. Pink Casino is part of a wider portfolio of casino, bingo and sports betting brands under the Rocket X umbrella, part of the LeoVegas Mobile Gaming Group.